Where is that email? The one about the budget? Can’t find that email? Search all your team’s project email, in one place, instantly. Use our Outlook add-in and project specific email address (like myprojectname@skysiteprojects.com), to sync and archive all messages. This puts all communication in one place, regardless of who sent it, or who received it. Having all email stored in a safe & organized place isn’t enough, you need to find information ASAP. 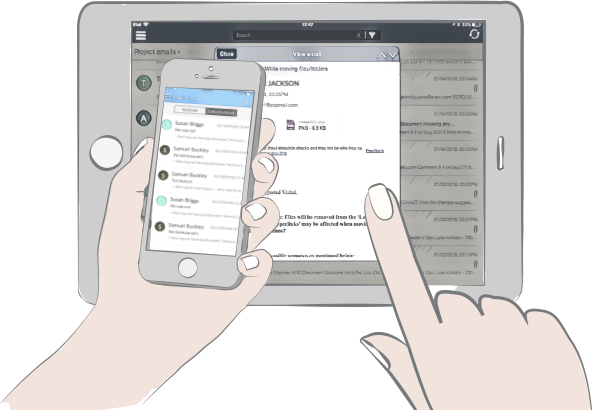 The email archive includes powerful search and filtering options so you can quickly track down a message in record time. No more excuses for not having access to the information you need. For your interest in Outlook add in.